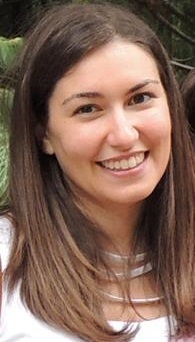 Marta Bottagisio is currently working as PhD students at the Cell and Tissue Engineering Lab. In 2013, she obtained a Bachelor’s Degree in Veterinary Biotechnology at the University of Milan (Italy) working on the application of molecular tests to determine the coat color of the Akhal-Teké horse breed. She conducted her research at the molecular genetics laboratory of the Department of Health, Animal Science and Food Safety of the University of Milan. In 2014, she obtained a Master’s Degree in Veterinary Biotechnology Sciences at the University of Milan (Italy). She performed her Master thesis on the osteogenic differentiation and the dynamic culture of ovine bone marrow stem cell loaded-constructs at the Cell and Tissue Engineering Lab. Her current research focuses on implant-related orthopaedic infection, animal models and microbiological techniques.